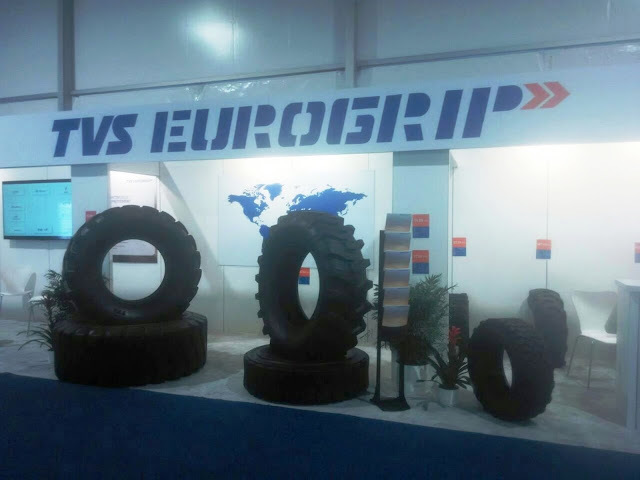 Marketed under the TVS EUROGRIP brand, TVS Srichakra showcased a range of tyres which included - Industrial Pneumatic Tyres, Skid Steer Tyres, Multi-purpose Tyres, Floatation Tyres, Tractor Industrial Tyres, Tractor Radial Tyres etc. About TVS Srichakra: TVS Srichakra Ltd, is the leading manufacturer of Two & Three Wheeler tyres and Off-Highway tyres and is part of the TVS Group, which is the largest Auto Ancillary Group in India, with a turnover of over USD 7 Billion. 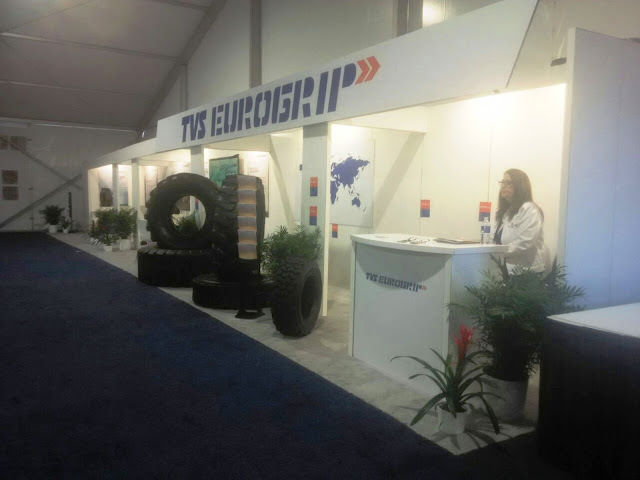 Incorporated in 1982 the company manufactures and markets its products under the ‘TVS TYRES’ and ‘EUROGRIP’ brands. The company rolls out around 2.3 million tyres every month out of its two units located in Madurai (Tamil Nadu) and Pantnagar (Uttarakhand). The company enjoys the highest market share amongst Two Wheeler manufacturers in India and has a vast nationwide distribution and dealership network to cater to the After Market demand. Apart from two wheeler and three wheeler tyres, the company also produces a wide range of Off-Highway tyres like Industrial Pneumatic tyres, Skid Steer & Multi Purpose tyres, Farm & Implement tyres, Motorgrader& Agricultural tyres. TVS Srichakra Limited exports to more than 70 countries across the world.